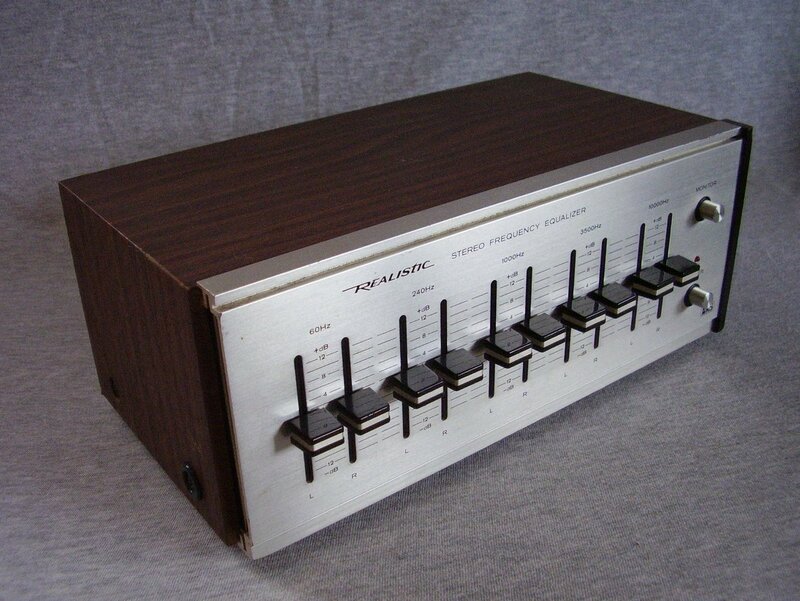 Realistic Stereo Equalizer. Model 311987, manufactured from 1978 to 1982. The equalizer measures 11 inches wide x 6 1/2 inches deep x 4 1/2 inches tall. Good vintage condition. (Hawaii,Alaska,international) we are always glad to give you a shipping quote, just email us. 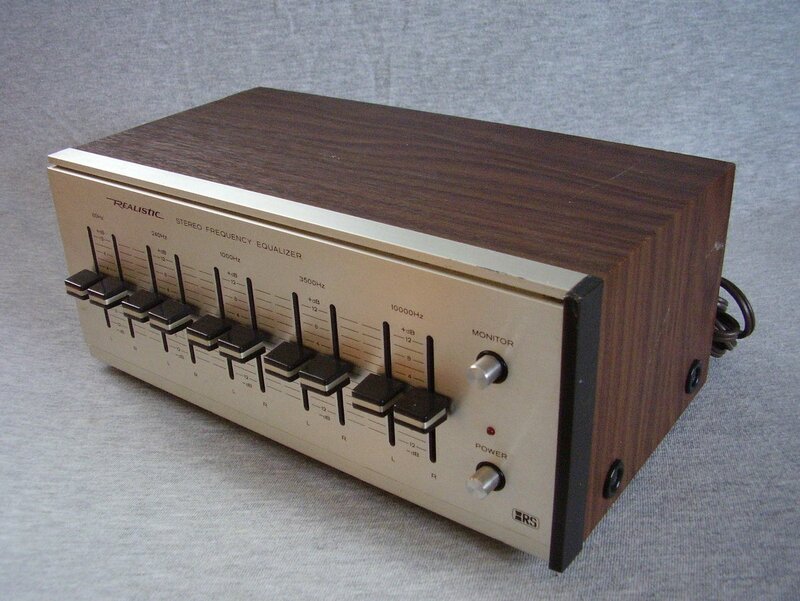 Stereo Equalizer. Model 31-1987, manufactured from 1978 to 1982. The equalizer measures 11 inches wide x 6 1/2 inches deep x 4 1/2 inches tall. 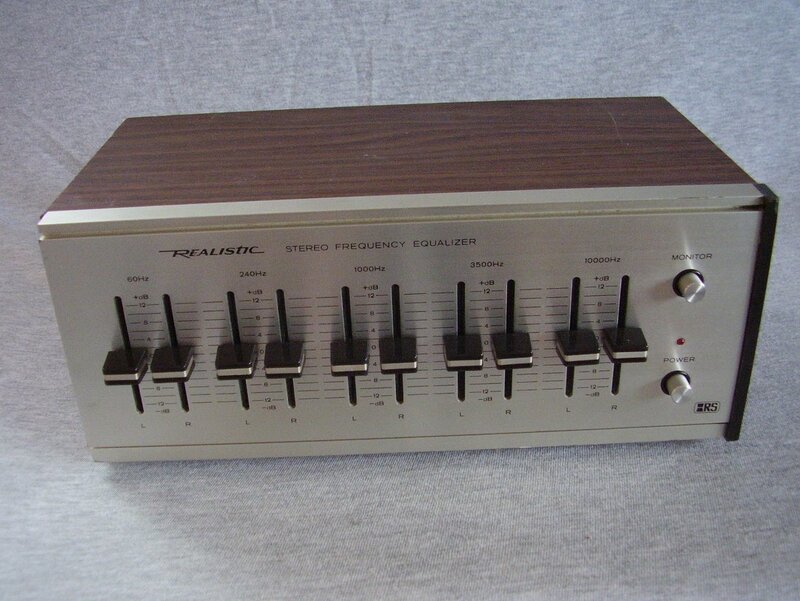 The 5 band graphic equalizer features separate left and right sliders of plus or minus 12db in the following bands: 60 HZ, 240 HZ, 1000 HZ, 3500 HZ, 10,000 HZ. 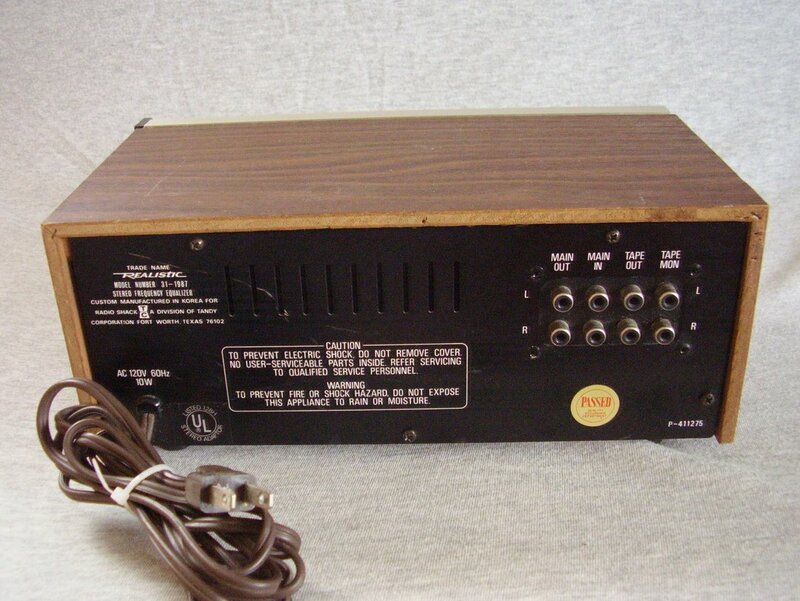 Has main inputs and outputs plus one tape monitor loop. The equalizer is in good cosmetic condition with the following noted exceptions: some faint scratches on the face, cabinet and back. Missing one of the plastic trim washers for the cabinet screws. Missing the left plastic trim on the face. This unit has been serviced, tested and found to be in good operating condition.